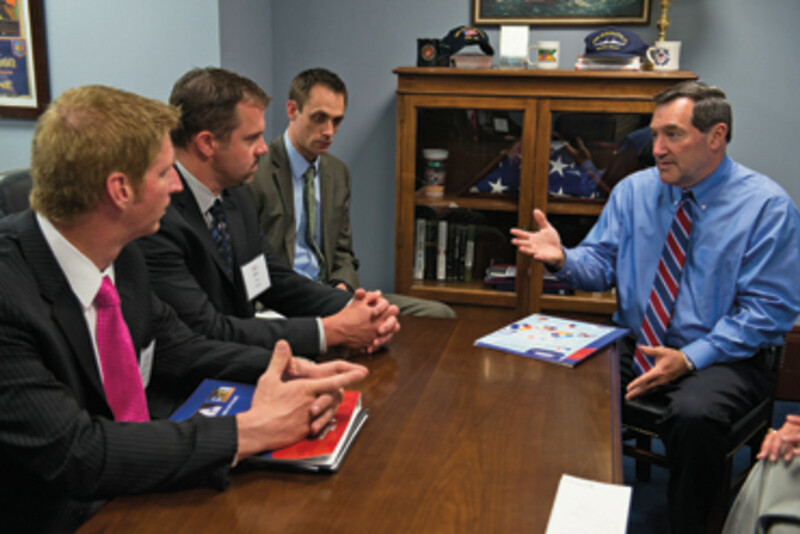 Participants came away from the American Boating Congress in Washington, D.C., in early May with renewed confidence in the industry’s political fights over key issues such as ethanol as a fuel additive. The economy continues to sputter, but business is slowly improving. That was the general consensus among the approximately 200 conferees (40 more than were at the 2012 ABC). 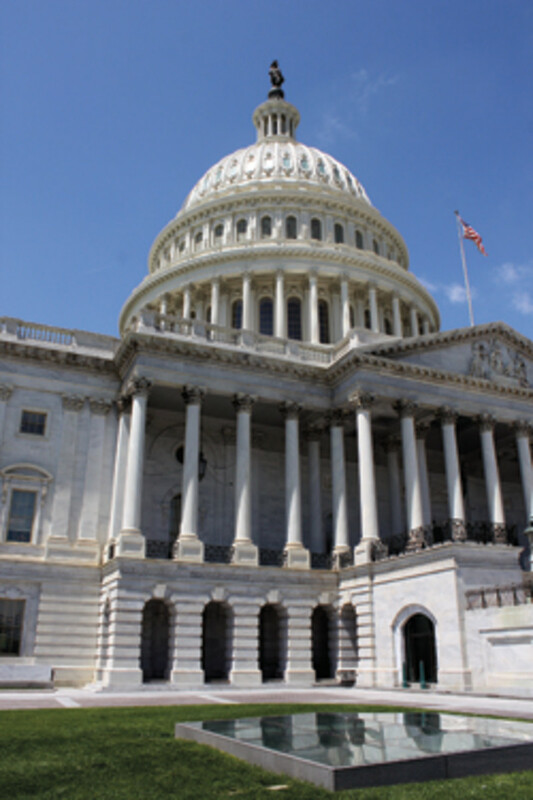 Participants in the May 8-9 program heard from a roster of dynamic speakers before marching to Capitol Hill for more than 250 meetings with members of Congress — up 34 percent from last year’s 187 — to project a unified stand on industry matters and present their own concerns to lawmakers. There was encouraging news on several fronts, particularly ethanol, where there is clear evidence the industry’s message is being heard. “I don’t think there’s a person on the Hill now who doesn’t know there’s a problem with ethanol,” says John McKnight, vice president/director of environmental and safety compliance for the National Marine Manufacturers Association. “All of the participants I talked to thought [ABC] was a very worthwhile use of their time and treasure,” says NMMA president Thom Dammrich. “The access the industry has to members of Congress is truly impressive. The NMMA leader stressed the need for a continued legislative push to counter the stereotype that recreational boating is primarily for the wealthy. 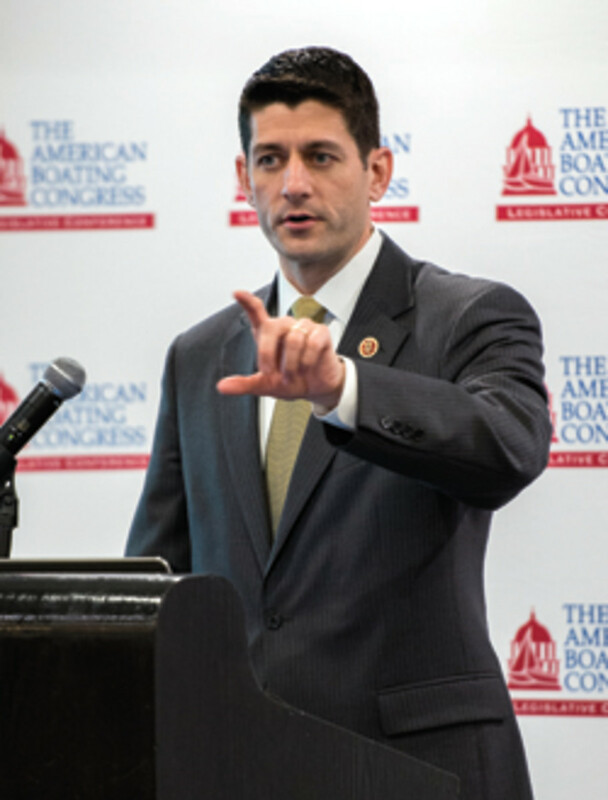 “Boating in America is — more than anyplace else in the world — a middle-class lifestyle activity,” he says. The Patient Protection and Affordable Care Act, also known as the Affordable Care Act or “Obamacare,” drew considerable discussion, much of it centered on what it means to employers. What is not known about the law makes it a disincentive to hiring, many felt. Nancy Cueroni, the Connecticut-based executive director for the National Marine Distributors Association, told Alexa Combelic, a legislative aide to U.S. Sen. Chris Murphy, D-Conn., that there is widespread concern about what the law means to an industry dominated by employers with fewer than 50 workers. “The margins are very small in our industry, and at this point we just don’t know what it’s going to cost,” Cueroni told Combelic, who was meeting with the Connecticut group. Legislators and political insiders who spoke at the ABC had no immediate answers. A diverse roster of speakers addressed the ABC, representing politics, the economy, the media, boating safety, sport fishing and ocean management. U.S. Rep. Paul Ryan, R-Wis., the Republican budget guru and 2012 vice presidential candidate, was the headliner, and he delivered a fiery condemnation of President Obama and Democrats in Congress that had more than a few attendees saying his address sounded more like a campaign speech than a lecture. Ryan referred to the Affordable Care Act as a “train wreck” that will force businesses to engage in the “competitive dumping” of employees’ health coverage onto the federal health plan for their own business survival. Ryan says it remains to be seen whether the political gridlock in Washington will ease. Manchin says he advocates for the industry as a revenue generator and a job creator. Discussing his interactions with President Obama, Walsh said the president is far different from the warm, friendly and relaxed person you see on television. He described Obama as a “no-nonsense guy” who is “in person actually very distant” and not given to small talk. “He doesn’t have many relations with people in Washington,” Walsh says. Moutray listed the strengths as housing (an average interest rate of 3.5 percent for a 30-year mortgage today, compared with 7 to 8 percent in 2000); consumer spending (it’s up despite economic uncertainty); and energy (declining prices and the promise of a production boost from technology). Among the challenges, Moutray listed exports — once a strength — largely because of slowdowns in the economies of Europe, China and Canada, the United States’ largest trading partner. The slowdown, coupled with higher U.S. taxes, will continue to be a drag on the economy this year, he says, although the longer-term outlook is brighter. “Once we move through the second half of this year — and moving forward — the manufacturing sector is really primed for growth,” he says. Far from politics, Frank Peterson, president and CEO of the Recreational Boating & Fishing Foundation, told the audience that “fishing from a boat is at its highest level in eight years” and that 7 million consumers visit the Take Me Fishing website each year (www.take mefishing.org). Peterson says his group is using marketing to target more than 3.5 million lapsed anglers and boaters, and he says the effort has the potential to direct millions of dollars in additional revenue into state coffers. The 2012 campaign resulted in more than 32,000 boats reregistered. “That’s $1.1 million going back to the states from boats reregistered that weren’t on the books,” Peterson says. He says state fishing license procedures need to catch up to today’s technology. “Only two of 50 states let you buy a license with a mobile device,” he says, adding that his group is pushing for uniform standards for obtaining a license across all 50 states. 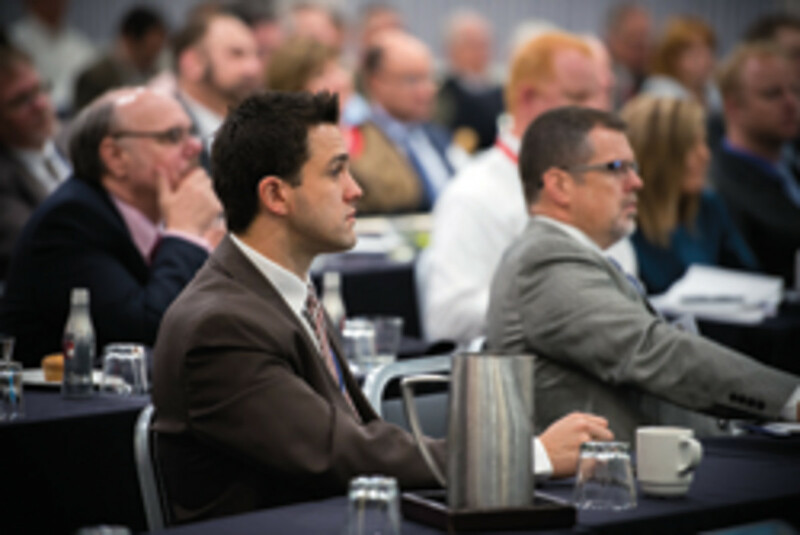 • Coast Guard Rear Adm. William Lee assured attendees that no significant changes in the requirements for PFDs, EPIRBs and manufacturer model years are on the horizon. Lee also hinted that the controversy surrounding his recent National Day of Prayer speech, in which he criticized the military’s restrictions on promoting religion, may cost him his job. • Deerin Babb-Brott, director of the National Ocean Council, spoke promisingly of the collaborative effort under way to develop comprehensive marine-use plans for the country’s coastal regions. “The Northeast, Mid-Atlantic, Caribbean and Pacific islands are moving forward with marine plans, and I expect the Pacific Northwest and California to start the process by the end of the year,” he says. • Phil Dyskow, the former president of Yamaha Motor Corp. U.S.A., received the Eddie Smith Manufacturer of the Year Award from the Center for Coastal Conservation. Dyskow serves on the Marine Fisheries Advisory Committee and the National Boating Safety Advisory Council. • U.S. Sen. Mark Begich, D-Alaska, was given the Center for Coastal Conservation’s Lifetime Achievement Award for Sportfishing. Begich is chairman of the Commerce Committee’s Subcommittee on Oceans, Atmosphere, Fisheries and the Coast Guard. As the mayor of Anchorage, Begich created the Salmon in the City Restoration Initiative, a nationally recognized sustainable salmon stewardship program. • Rich Waggoner, director of environmental activities for engine manufacturer Indmar, was given the Environmental Achievement Award from the NMMA for his work on the industry’s renewable fuel testing last year. The testing provided further evidence of the engine damage caused by ethanol-blended gasoline and found that the organic compound isobutanol, as an alternative to ethanol, showed no negative effects and significant benefits.